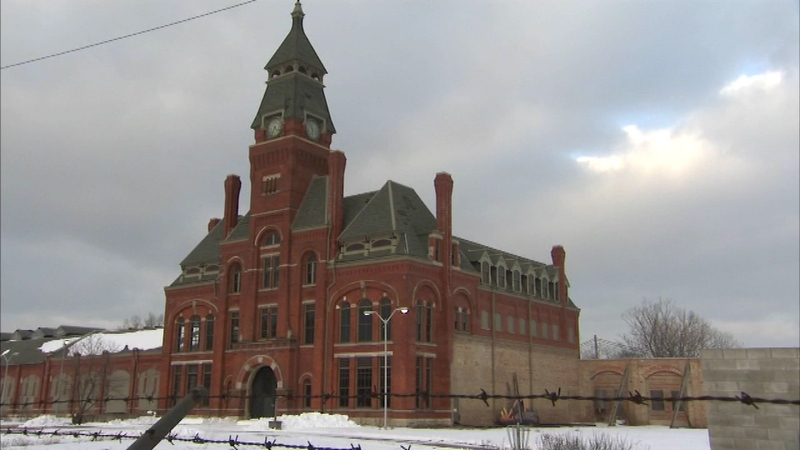 Pullman State Historic Site was designated as a national monument in 2015 by former Pres. Obama. WASHINGTON -- President Donald Trump will order a review of the 1906 law that gives the president of the United States power to set aside lands for federal protection, administration officials tell CNN, setting into motion a process that could see the Trump administration rescind the protection of lands designated by former President Barack Obama. Trump will sign the executive order Wednesday at the Interior Department, Secretary Ryan Zinke told reporters. The order could lead to the reshaping of roughly 30 national monuments that were designated by Presidents Bill Clinton, George W. Bush and Barack Obama after 1996. At the heart of this proposal is Bears Ears National Monument, a 1.3-million-acre parcel of lands that includes world-class rock climbing, age-old cliff dwellings and land sacred to Pueblo Indians that Obama designated a monument in 2016. "We feel that the public, the people that monuments affect, should be considered and that is why the President is asking for a review of the monuments designated in the last 20 years," Zinke said, adding that he believes the review is "long overdue." Utah Republicans, angry that Obama designated the land for federal protection, have called on the Trump administration to remove the protection and give the parcel back to the deep red state -- possibly to authorize drilling. But that action has been met with vocal opposition from environmental groups, outdoor outfitters and Native American tribes, who argue federal protection is not only better for the environment, but better for the economy in a rural, economically depressed area of the Beehive State. "The policy is consistent with the President Trump's promise to give American's a voice and make sure their voices are heard," the interior secretary added, arguing that the order "restores the trust between local communities and Washington" and lets rural America know "states will have a voice" in land designation. That argument is largely dismissed by the White House. "Past administrations have overused this power and designated large swaths of land well beyond the areas in need of protection," a White House official said Tuesday. "The Antiquities Act Executive Order directs the Department of the Interior to review prior monument designations and suggest legislative changes or modifications to the monument proclamations." The move by Trump will not resolve the Bears Ears issue. Instead, it will set up a process to review the designation and make a decision at a later date. But groups that support keeping Bears Ears in federal control believe the Trump administration's decision, led by Zinke, is the first step in the process to give the land back to Utah. Rose Marcario, president and CEO of the outdoor outfitter Patagonia, said the review "is an assault on America's most treasured lands and oceans." "Bears Ears and other national monuments were designated after significant community input because they are a critical part of our national heritage and have exceptional ecological characteristics worth protecting for future generations," Marcario said. "It's extremely disturbing to see the Trump administration apparently laying the groundwork to remove protections on our public lands." Zinke said he is prepared for legal challenges from environmental groups -- "I am not in fear of getting sued, I get sued all the time," he said -- but acknowledged that it is "untested" whether the President has the power to shrink public lands by using the Antiquities Act. And there are likely to be legal challenges. Marcario told CNN Patagonia was "preparing to take every step necessary, including possible legal action" in order to protect Bears Ears and other national monuments. Republicans in Utah, including Gov. Gary Herbert, have asked the Trump administration to rescind the National Monument status for Bear Ears, arguing the designation infringes on their state's rights. Herbert signed a resolution in February that urged Trump to rescind Bear Ears' status. Led by Utah Reps. Jason Chaffetz and Chris Stewart in Washington, along with Sen. Orrin Hatch, Republicans are urging Congress to withhold money for the national monument in response to the designation. Mining companies have also been eager for a decision. EOG Resources, a Texas-based company, was recently approved to drill near Bears Ears. And activists are worried that the area, which is rich in natural resources, could be offered up to oil companies if it is de-listed. Hatch said in response to Trump's forthcoming order that he is "committed to rolling back the egregious abuse of the Antiquities Act to serve far-left special interests." Hatch's opponents argue that withholding funds or rescinding the Antiquities Act order would impact San Juan County, Utah, where more than 28% of the population lives below the poverty level. The group Public Land Solutions, a pro-federal designation group, said in a recent report that the economic benefits of Bears Ears to the area should outweigh any benefits with mineral or oil extraction. "Show me the money," said Ashley Korenblat from Public Land Solutions. "We are confident that a fact-based review of the national parks and public lands protected as monuments by the Antiquities Act will show year-over-year economic growth." Bears Ears is not the only site that has experienced a push to give up federal protection. Republicans in Maine, including Gov. Paul LePage, have asked Trump to stop national monument status for Katahdin Woods and Waters National Monument, an expansive piece of land that includes much of the Penobscot River watershed. Like Bears Ears, that parcel was designated a national monument by Obama in 2016. The order will review any monument created between Grand Staircase Escalante in September 1996 to Bears Ears in 2016 that impact more than 100,000 acres or more. Under this designation, Katahdin Woods and Waters -- an expansive piece of land in Maine that includes much of the Penobscot River watershed that was enacted by Obama in 2016 -- would not be reviewed, despite the calls. The monuments the Trump administration will review include Grand Canyon-Parashant National Monument, Grand Staircase-Escalante National Monument and Basin and Range National Monument, as well as a host of Pacific Ocean monuments, including the World War II Valor in the Pacific National Monument. All but one of the monuments set to be reviewed is west of the Mississippi. Should Trump and his administration opt to de-list these sites, they would be going back on some off their promises to both voters and members of Congress who oversaw Zinke's confirmation process. "I don't like the idea because I want to keep the lands great," Trump said in January 2015 during an interview with Field & Stream when asked about transferring public lands to state control. Donald Trump, Jr. has also said he is in favor of "refunding" federal lands to keep them out of private control. Those views aren't in line with much Republican orthodoxy, which has long said the federal government should control less land, not more. But Trump isn't the only Republican who expressed this view: Zinke also told senators during his confirmation process that he was against giving public lands back to the states. "I am absolutely against transfer and sale of public lands. I can't be more clear," he said when Sen. Maria Cantwell, a Washington Democrat, asked if, under Trump, federal land would be "unbelievable attack by those who would like to take these public lands away from us and turn them over back to states." Zinke stood by that statement Tuesday, arguing that it is wrong to suggest the review will lead to the transfer of public lands. "I think that argument is false," he said, blaming "modern media" for the polarized views on Bears Ears. Cantwell said Tuesday that Trump's decision to de-list would be "illegal" and faulted Zinke and others for doing the "bidding" for coal and natural resource companies.